What's Poppin' Tonight! #FantasyWednesdays presents BOW WOW Birthday Celebration Hosted By Chinese Kitty, Shug & DJ E-Feezy at Dream Nightclub ~ Phresh Hott New! Tonight! The S/E Groupe presents Fantasy Wednesdays “The Only Place To Be On Wednesday Nights In Miami”! 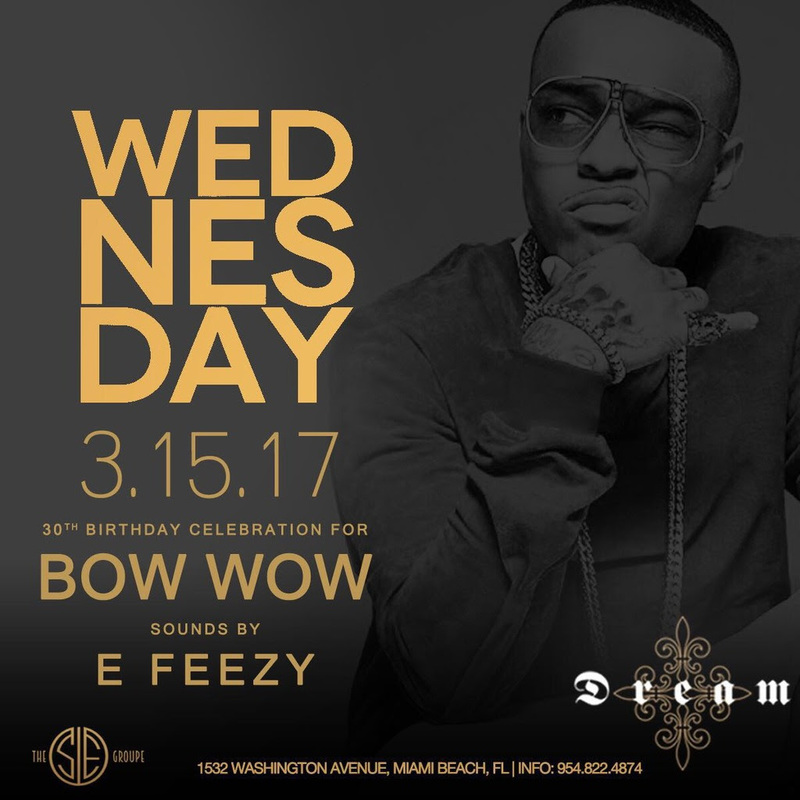 Fantasy Wednesdays presents BOW WOW Birthday Celebration hosted by Chinese Kitty, Shug and DJ E-Feezy at Dream Nightclub. Plus + More Fun! Music By: DJ E-Feezy | + More!